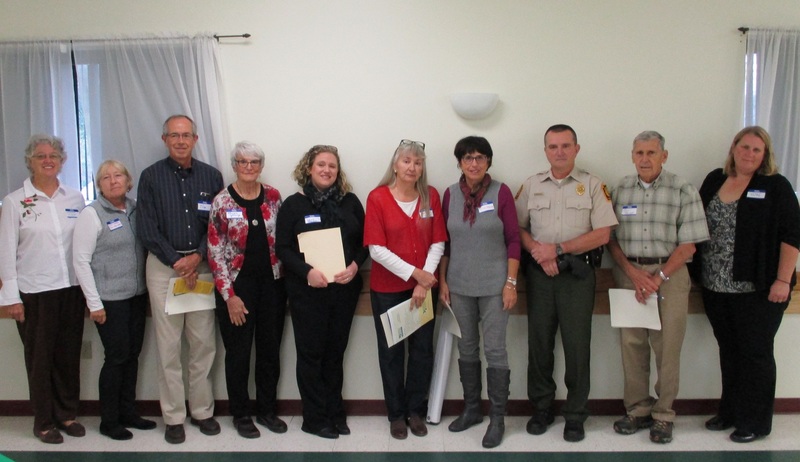 Those who spoke on behalf of organizations funded since 1998 by the Endless Mountains Heritage Region on Oct. 12 included (top, from left) Sandra Wilmot, Lynn Conrad and Thomas Stoll of Susquehanna County; Margie Young and Erica Rogler of Wyoming County, Melanie Norton, Joan Werner, and Bill Williams of Sullivan County; and Bill Bower and Nicole Harris of Bradford County. 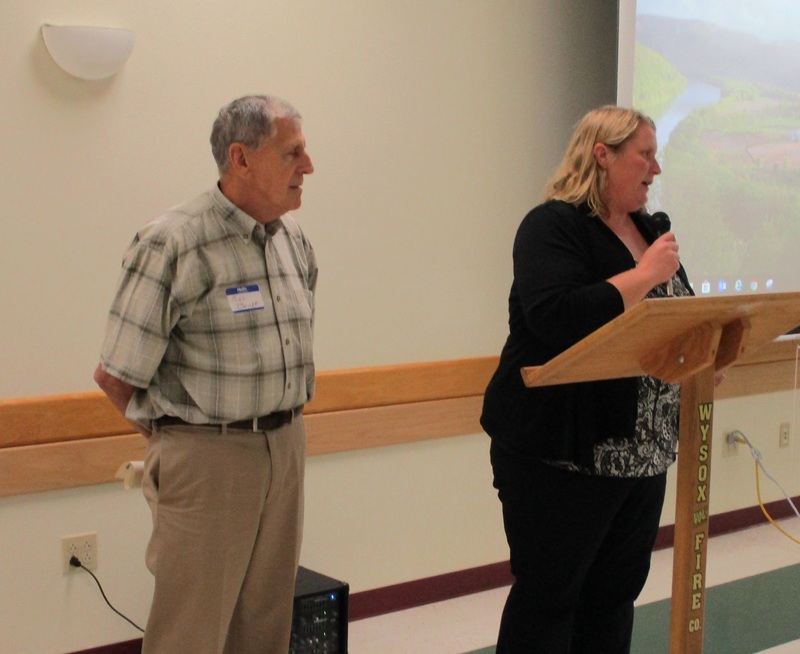 The 20th anniversary of the Endless Mountains Heritage Region (EMHR) was celebrated on Friday at an annual banquet and business meeting held at the Wysox Fire Hall. Since its founding in 1998, the EMHR has disbursed more than $2 million for the preservation, restoration and implementation of historic, agricultural and recreational resources in the area. 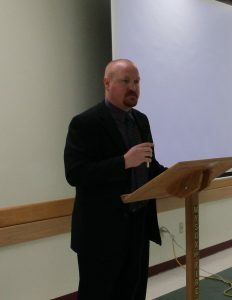 Representatives from many of the recipient organizations in Bradford, Sullivan, Susquehanna and Wyoming counties were on hand to share their stories, and new EMHR executive director Cain Chamberlin made his first presentation to the board at large. The EMHR has been a big supporter of the Troy Sale Barn in Bradford County, and Sale Barn board members Nicole Harris and Bill Bower (below) told the audience of the incredible progress of the project since 2015 alone. The former livestock barn that was showing extreme wear inside and out now features handicap-accessible restrooms, space for caterers to work and set up their buffets, a dry bar and refurbished but rustic-looking interior that served as the backdrop for 11 wedding receptions in 2018, with nine on the books already for the coming year. The next big undertaking, which has already begun, is the restoration of the former livestock arena in to a half-round theater complete with stage and theater seats that were once used in an auditorium on the upper floors of the former half-shire courthouse that is now the C&N Bank building. In addition to school plays, Bower is hopeful that wedding ceremonies will be performed on the stage so the entire party can then simply move into the larger reception area. Bower announced that the parking lot, which has been pretty muddy for much of 2018 will be paved before year’s end and retro street lights matching those in downtown Troy will be installed. Wyalusing Valley Museum director Morgan Clinton (above) gave a brief update on the progress of renovating the former Masonic building in Wyalusing into suitable exhibit and office space. Joan Werner, an EMHR board member and the president of the Eagles Mere Historical Society explained how grants from the EMHR have helped to keep exhibits fresh at the Eagles Mere Museum and General Store. Funding has been used to purchase two mobile kiosks with iPad technology. Displays about a variety of local topics can be augmented with audio snippets that include interviews of long-time residents sharing stories about old businesses and events or the reactions of visitors to local history and museum exhibits. “It’s an ever-changing piece of technology,” said Werner (above). 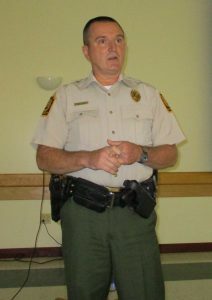 Bill Williams (below) is a conservation officer in State Game Lands 13, which borders State Game Lands 57 in Wyoming County to the east. He admits that he was never much of a historian but was very interested in the large number of foundations and partial structures clustered near the county lines. He encountered a book by Charles Petrillo titled “Ghost Towns of North Mountain,” which provided details of the former logging town of Ricketts, which had more than 800 residents at the peak of its existence between 1890 and 1913. Using photos by Rinald Douglas found in the book and a metal detector, Williams began tracing and mapping the remains of the village and started working with the Sullivan County Historical Society and the EMHR to secure funding for an interpretive panel that was placed in a parking area in the Sullivan County side of Ricketts, which was known as Uptown Ricketts. The duties of a conservation officer involves protecting and enhancing wildlife, Williams related, so he sometimes walked a thin line with the state game commission to bring the project to fruition. But, when more than 100 people attended the unveiling of the sign on a cool and dreary spring day in 2014, it was apparent to all that the historical significance of the site was equally valuable. EMHR board president Melanie Norton )below) spoke at large about the many treasures of Sullivan County as the president as well of the Sullivan County Historical Society. While the county may only have 6,500 permanent residents, she noted, the population can easily swell by 300 percent when the weather is nice. To take advantage of those flocking to Sullivan County for recreation and its beautiful vistas, she worked with the EMHR, local historians, and corporate sponsor Chief Oil & Gas to produce two new signs interpreting the histories of Forksville and Jamison City. The sign at Forksville was installed in July along Route 87. It was hoped that the Jamison City sign would be installed this year, but the chosen site was badly damaged by flooding. Once two or three more signs are installed, Norton plans to develop a driving tour tying the signs and Sullivan County’s history together. This new plan follows the popularity of the Historical Society’s “History Quest,” which encourages visitors and residents alike to acquire a brochure at the museum in Laporte and travel the county seeking answers to a variety of questions. It is designed to take more than a day to complete. 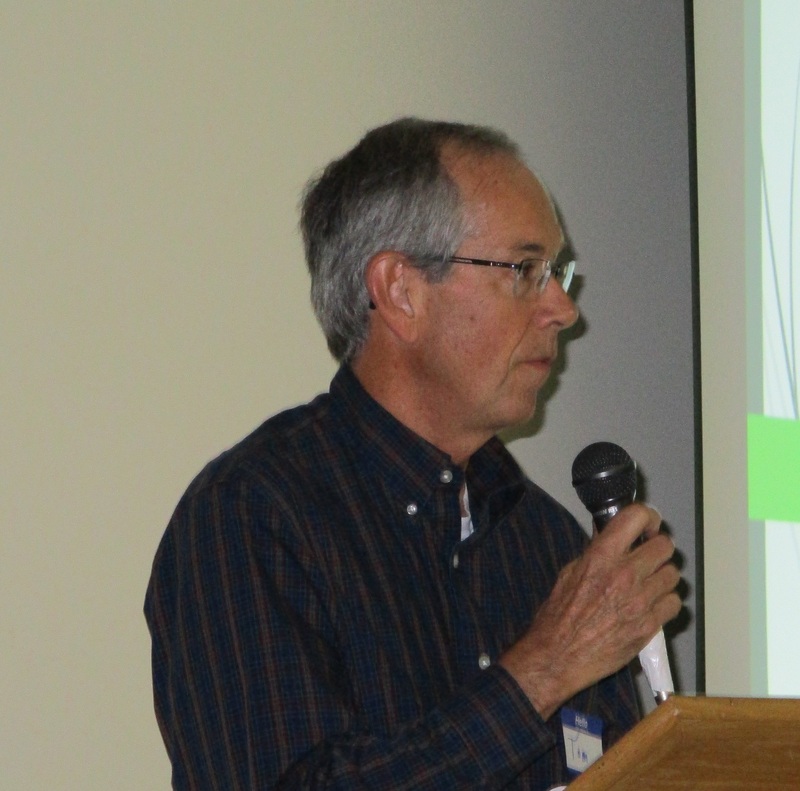 Norton has served as president of the EMHR board for the past year and will remain in the position while the organization’s bylaws are updated and the board is potentially restructured. She told members of the banquet audience that she hopes the work of associated subcommittees will be completed within a few months. 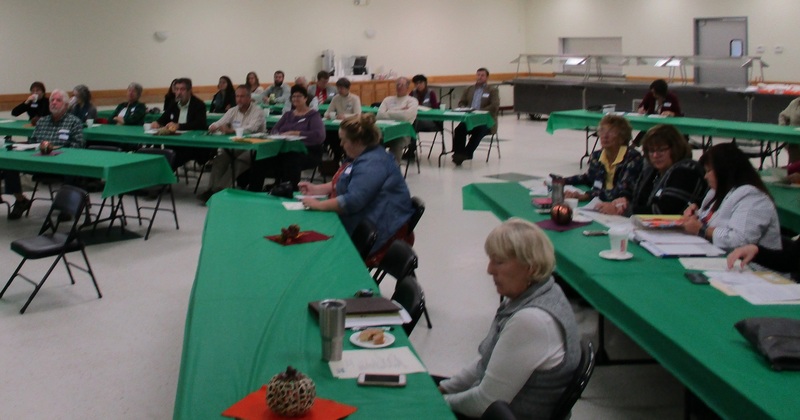 Three projects in Susquehanna County were highlighted during the event, which also featured a luncheon and presentation by new executive director Cain Chamberlin. Following a general explanation by Thomas Stoll, president of Friends of Salt Springs Park, Chamberlin made a special appeal to those in attendance to consider helping get the flood-ravaged state park back to normal. Stoll (above) explained the unique status held by Salt Springs State Park, which was sold by the Wheaton family to the state in 1973, in that it is managed and funded solely by local residents and supporters. The park is known for its old-growth hemlock forests, gorge and three waterfalls, famous salt pools used by Native Americans and early European settlers, and the diverse habitat of Fall Brook and Silver Creek, both of which breached their banks and flooded the historic barn pavilion and camping areas in August. 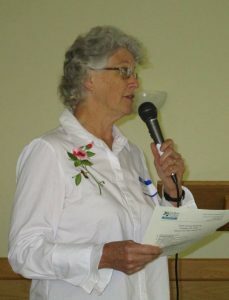 The Friends group was formed in 1994 when the Wheaton homestead and other buildings on the property fell into disrepair. 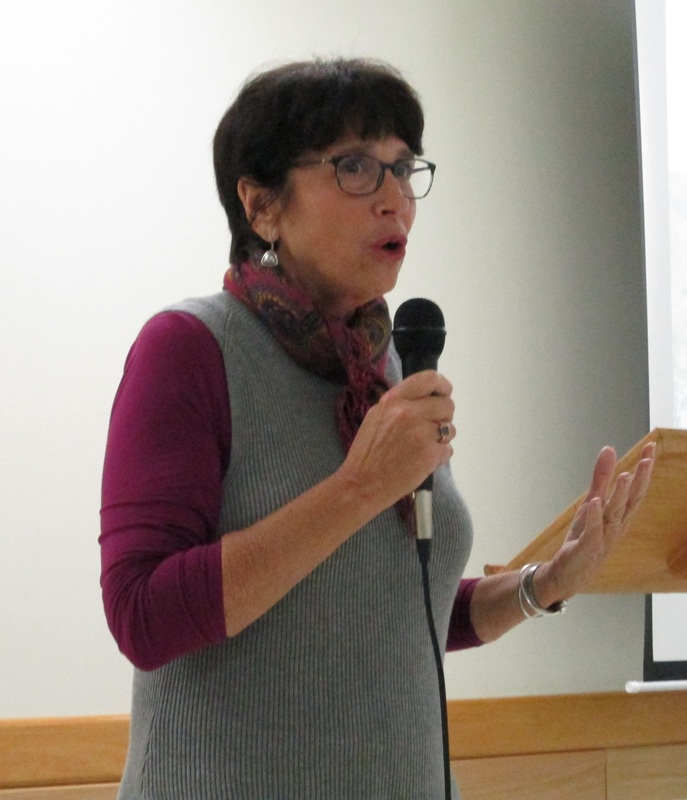 Rather than ask the state to re-invest in the park, Stoll explained, the group raised the funds needed to put the popular destination back on track. Between 2000 and 2006, the Friends purchased an additional 437 acres adjacent to the state-owned lands and now operate all 842 acres as one park. In addition to losing the stone walls that lined the normally tranquil streams, a footbridge, and the historic red shed, septic systems for both farmhouses were compromised, rendering the buildings uninhabitable for the tenants. Friends of Salt Springs State Park are seeking both monetary donations and heavy equipment operators who can help move rocks and debris. Interested readers may contact the park at 570-967-7275. 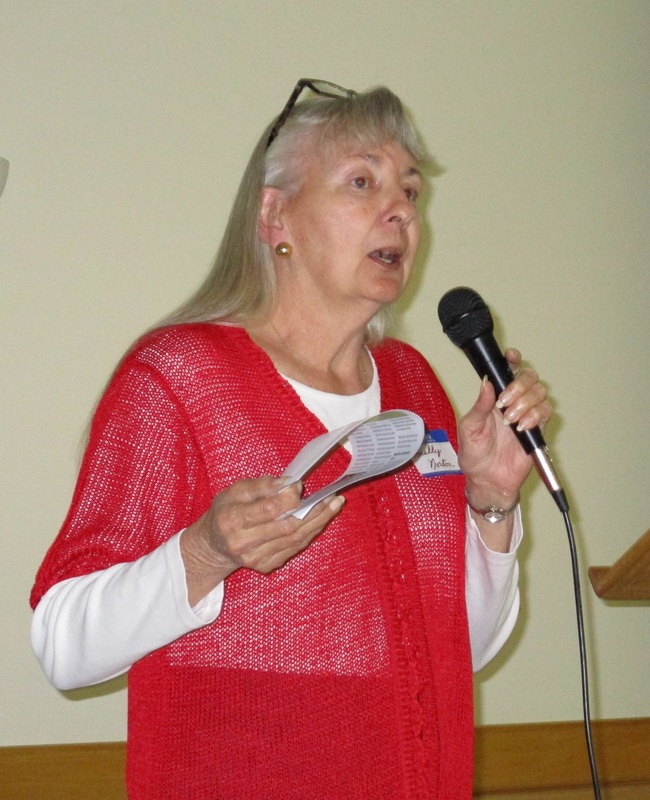 Sandy Wilmot )above) of Clifford Township, who is currently an EMHR board member and has served as president, has also become an expert at leveraging in-kind donations and volunteer labor to successfully funnel more than $50,000 in state funding to her corner of the county. Via EMHR grants, Wilmot has seen the restoration of the Hoover School House and Yarn’s Cider Mill, the construction of the Clifford’s Children’s Garden, the installation of several exhibits at the Clifford Museum of Local History, and the purchase of lands adjacent to Clifford Township Community Park for the expansion of walking trails there. The Children’s Garden contains the Four Doors of History, replicas of an Indian longhouse, pioneer log cabin, and Clifford Coal Mine shaft. The hands-on elements were designed, Wilmot noted, “to stimulate a love of history in kids.” The EMHR funded fencing around the park, which provides a safe place for parents and grandparents to go to and let the youngsters run and play. 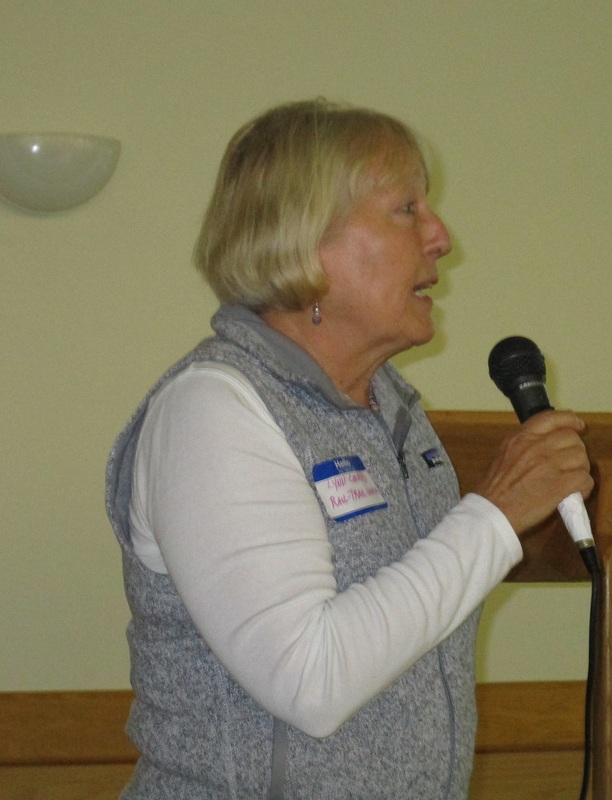 Lynn Conrad, executive director of the Rail-Trail Council of NEPA, which is headquartered in Uniondale was not on the agenda but asked for the opportunity to thank the EMHR board for its continued support. The EMHR helped to fund interpretive signage along the portion of the D&H Rail Trail that runs underneath the Starrucca Viaduct, as well as directional signage to help people driving through the area find the trail heads. The Rail-Trail Council recently opened the 10-mile Endless Mountain Trail that utilizes an old railroad grade from Montrose to Alford and will open a six and a half-mile trail between Ararat and Herrick townships. A ribbon cutting event will take place where the new trail crosses Ararat Road on Thursday, Oct. 18 at 9:30 am. 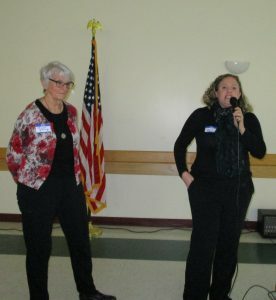 Wyoming County Cultural Center director Erica Rogler and program director Margie Young explained how EMHR funding has helped keep the theater up with the times and offering unique programming that preserves and interprets history and encourages recreation in Wyoming County. Projects at the Dietrich Theater that the EMHR has helped to fund in recent years include the Wyoming County Heritage Attractions sign along Bridge Street in Tunkhannock, enhancements in handicap-accessibility, the development of the Historic Tunkhannock Walking Tour, Rivertowns Bus Tour, and Explore Wyoming County’s Parks & Trails brochure and hikes, as well as the LED lighting conversion of the old marquis. Energy use of the theater was once compared to that of 40 homes, Rogler related, and the LED conversion alone is estimated to have saved the Cultural Center $2,000. Next year’s project, the EMHR grant for which has been approved, will be the painting a large mural on the theater’s currently bare exterior wall facing Bridge Street. In his primary presentation, Chamberlin first thanked the board for what he called an “incredible opportunity” to serve his home town area. 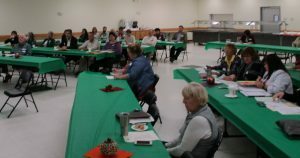 He noted that he visited the commissioners in each of the four represented counties and is working to solidify relationships with like-minded organizations and boost EMHR membership. 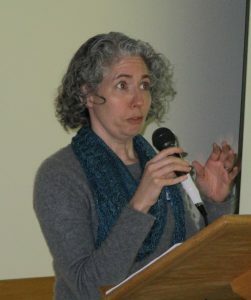 He called on all members to work together toward the common good of the EMHR, including seeking new and alternative funding sources, as the organization has relied heavily on an annual disbursements for the PA Department of Natural Resources for many years. Chamberlin also promised board members and others in attendance that the organization’s outdated website will get a complete makeover in the coming year. In the meantime, EMHR events and news about its partner organizations can be found on the Endless Mountains Heritage Region Facebook page.